nj arts maven: Celebrate the Summit Playhouse’s 100th Anniversary! 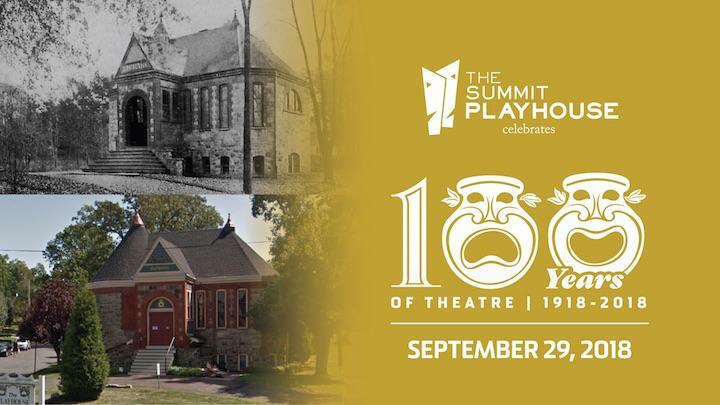 Celebrate the Summit Playhouse’s 100th Anniversary! WHEN: Saturday, September 29, Dinner reception and open bar begins at 7:30pm with performances to follow. Did you know the Summit Playhouse is the oldest, continuous community theater in New Jersey and one of the oldest in the U.S? From November 1918 through today the Playhouse has been producing dramas, comedies, musicals, kids theater and more! Join us for an evening of entertainment featuring performances and highlights from our last 100 years of theater.